The Ramblers are always on the look out for new players, both juniors and seniors. You can be of any standard as we try to cater to everyone. We have qualified coaches and experienced players to help players at all ages with their game. 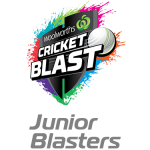 Also with the juniors, we are running the Junior Blasters Cricket (formerly Milo in2CRICKET) program on Friday evenings in Term 4, 2018 and for boys and girls aged 5-8. Please email or call the Junior Coordinator, Mandy O'Keefe on 0404 677 725 if you’re interested, as everyone is welcome. Further details and as well as how to register can be found on the official Coromandel Ramblers Junior Blasters page. So come out for a hit, bowl and a catch and hang around for a BBQ afterwards! We are entering an Under 10’s, Under 12’s, Under 14’s and Under 16’s teams this year. These teams will play on Sunday mornings in the South Central Junior Cricket Association.Please email or call the Junior Coordinator, Mandy O'Keefe on 0404 677 725 if you or someone you know who is interested in playing junior cricket in a fun, family-friendly environment. We have seniors in sections 1, 3, 6 and 8 in the Adelaide & Suburban Cricket Association (ACSA) for 2018/19. Senior trainings are Thursdays from 6pm at Weymouth Oval, Main Road, Coromandel Valley. An optional senior training session is held from 6pm on Tuesdays at Weymouth Oval, but prior notification to the Training Coordinator is required for these sessions. If you’d like to have a chat to find out more information, please contact our Senior Director, Steve Davenport on 0412 665 881 or by email.